This is big, according to the Wall Street Journal, Apple is planning to release 2 new iPhones this summer, possibly including one for the Verizon network. It all started with news of a CDMA iPhone running on Verizon will be manufactured by Pegatron in China while a whole new AT&T model, made by Hon Hai Precision Industry, also known as Foxconn. It seems that AT&T’s iPhone monopoly will finally run dry. 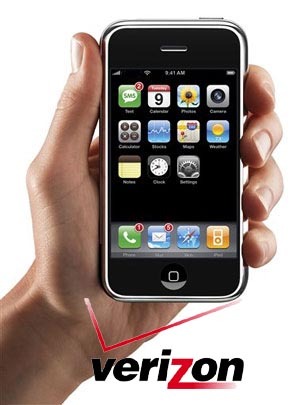 It has been long speculated that Verizon would be next in line to offer the iPhone. The new iPhone will work with CDMA networks, which include Verizon and Sprint. Sources report that the CDMA model will go into mass production in September. Update: AppleInsider reports the new iPhoneHD will have a 1ghz A4 custom processor, 960×640 double-resolution display, and a second front-facing camera. Previous Entry: Nexus One on Verizon, Any Day Now?